A couple of weekends ago I decided it was high time for a bedroom spring clean. I emptied literally everything out of my wardrobes and drawers (regretting it all mid way through the process, as you do!) and was ruthless with my purging! Anything that I hadn’t worn in over a year or just didn’t feel comfortable in was put aside for charity. My next mission was to target storage, which is half the problem when those ‘I have nothing to wear’ moments strike! 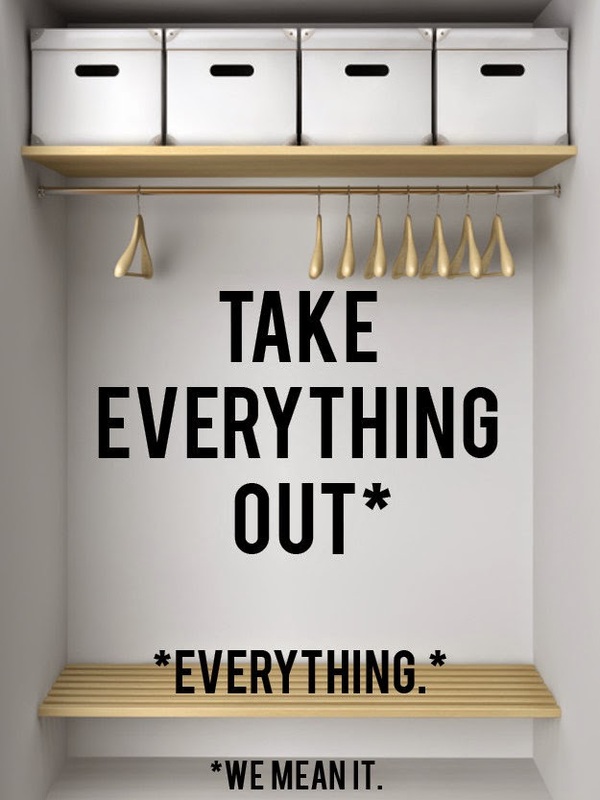 Keeping your belongings streamlined and tidy allows for a much calmer space and makes it much easier to put outfits together and actually see what you have. I’ve turned to Pinterest for some bedroom inspiration which I thought I’d share today. I love this storage cube from IKEA, which fits neatly beside the bed yet holds so much. It’s a great alternative to a chest of drawers and a nice way of displaying your favourite jewellery, perfumes or books. 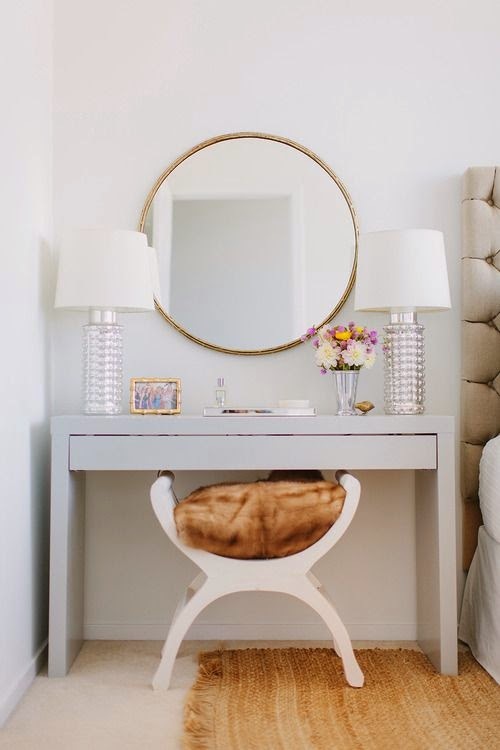 A dressing table/vanity also makes the perfect bedside companion. The drawer on this one is ideal for make-up storage. My collection currently resides between several make-up bags and little baskets – not at all practical, especially when I’m in a rush and can’t find that one lipstick shade I need! 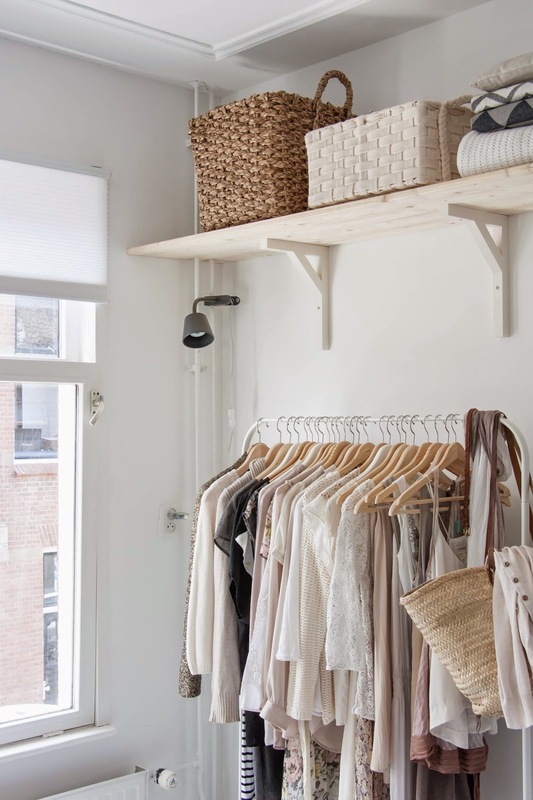 This clothing rack from IKEA is a storage saviour too. I have one of these and it’s great for pulling looks together or simply showcasing some of your prettiest pieces if you are short on closet space. Why keep them hidden away?! Storage baskets are my new best friend! Perfect for storing out of season items such a bulky knitwear and outerwear during the summer. 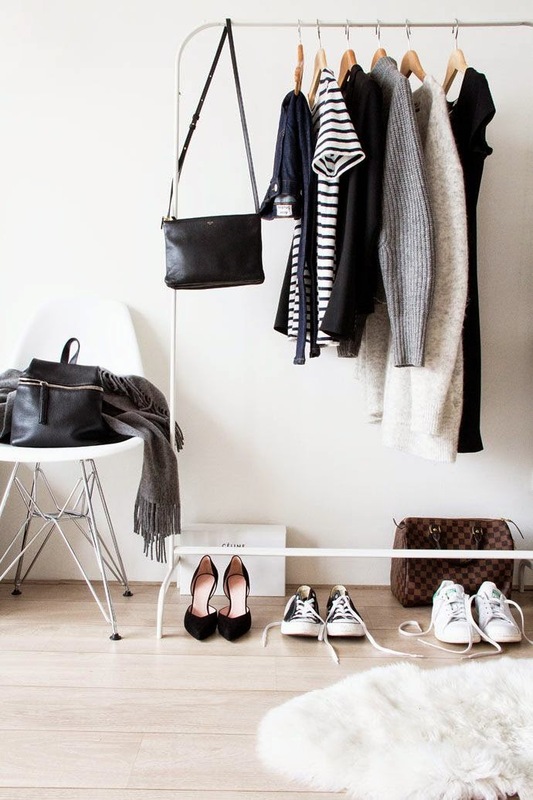 Swap over as the seasons change to keep your wardrobe streamlined and clutter free. Penneys, Heatons and IKEA are all great for affordable options in a range of sizes. So it looks like an IKEA trip is most definitely on the agenda very soon. I’ll share photos of my progress once it’s all complete! Next Post A Peek at Littlewoods Ireland….